Unfortunately, the operative word in the title is “bust”. I am not usually one to complain or be negative, but at the same time I have to be honest. 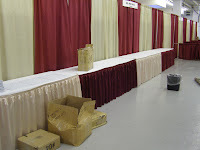 I know the attendees that were there enjoyed their classes immensely and seemed to have a good time shopping the marketplace. The problem seems to be there just weren’t enough people to make the show worthwhile for those of us vendors. It didn’t help that one of our favorite vendors, Brooks Farm, did not end up attending due to the floods they have been dealing with back in Texas. Both Cirilia and I were crushed before the show really even started. Although I think our budgets are better for it. Then there was Kim Werker, one of my most favorite people ever. She is always so upbeat and full of energy – it’s really contagious. 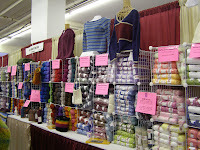 Kim will be at WEBS in October to launch her book Crochet Me – Designs to Fuel the Revolution. Trust me when I say, this will be the party of the season! Jess and Casey of Ravelry made the trip up. We hung out and talked a bit and then Cirilia and I realized we hadn’t taken a picture so then it was time to stalk them. We got the picture though! 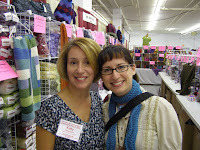 I also got to catch up with Dianne from Creatively Dyed Yarns. She was trying to sell off the rest of her inventory from her shop that she recently closed in order to focus on her hand dying. 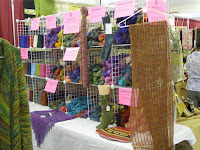 For anyone planning to attend the Midwest Fiber & Folk Art Fair in Crystal Lake, IL this weekend, be sure to stop by, check out her yummy hand-dyed yarns and say hi! 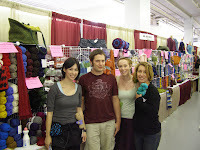 We also met Becca Smith, owner of Bagsmiths Bags. Lovely, lovely lady, as is her mom and Janette with beautiful products. (That’s a hint to watch for them in our store). The other highlight of the weekend was one of our dinners. Should you find yourself in Manchester, NH I highly recommend “Z” which is located right downtown at 860 Elm Street or on-line at http://www.zfoodanddining.com/. Tom and his lovely wife (also a knitter) are the owners. The restauarant is only 3 months old and the food, service, EVERYTHING is yummy. Steve and I eat out a lot and we’re pretty fussy. We’d go back to Manchester just to eat at Z again. Pretty funny, don’t you think? 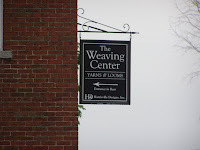 Only two over-tired, yarn crazed gals would get lost in NH and end up in Harrisville. I am convinced my car smells yarn. 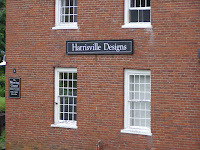 The irony is even more glaring when you take into account that (a) I’ve never been to Harrisville and (b) Barbara started WEBS using Harrisville Looms. Cirilia and I giggled our way all the way back to the main route we were suppose to be on. As for knitting, I have no pictures, but a report. So I finished the leg of Jonathan’s sock and started the heel flap. I was 2/3 of the way done at the show (this tidbit is important) and realized I was knitting it backwards! The smooth side was on the inside, bumpy on the outside. I thought about just turning the sock inside out, but the leg pattern was not nearly as nice. So, rip, rip, rip. That through me off. After a couple of attempts and adding stitches, losing stitches, I just put it away. The TKGA karma was doing nothing for my knitting. Thank you Cirilia for salvaging the sock. The pictures truly do not do it justice. 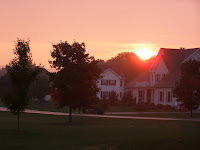 This entry was posted on Monday, July 16th, 2007 at 5:15 pm	and is filed under WEBS on the Road. You can follow any responses to this entry through the RSS 2.0 feed. You can leave a response, or trackback from your own site. I wish I could say I were recovering…but there just wasn’t anything to recover from! I still can’t get over our accidental drive through one of the yarny capitals of the East Coast. Check your statcounter–Jess linked to us and I got a nice little spike in #s. Why oh why is that so gratifying…? I am still not over the trauma of brooks farm yet. Sorry it was a bust. My SiL loves her bagsmith knitting bag – swears by it. On the upside, we did really well at the store! 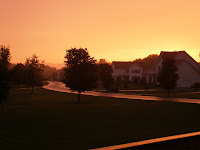 Even during the scary thunderstorm! 🙂 I know Stitches Midwest will be amazingly better for you guys! 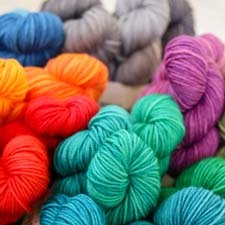 How’s Ravelry going? I’, just over 300 people away from my invite! Hurray! Too funny where your detour took you. I’m a new-ish customer to WEBS (wonderful yarn & service!) and just received my Valley catalog, which I am coveting! I’ve been listening to your podcast (love it! 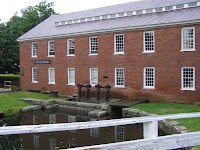 ), and have now linked to your blog (yippeee!. I’m writing to say how much it is appreciated that you are not the most confident of knitters (i.e. socks), you aren’t terribly fond of swatching, and you make silly knitting mistakes (the backwards thing on your son’s sock) – all much like I do! Wish I lived closer to the East Coast knitting action. Happy for your reports. P.S. Sorry to hear the show was a bust. while you were away I stopped in WEBS with our youngest son and his friend from Seattle. She was a “I can only knit scarves” type of person until she walked in the store and saw all the samples. We left with beautiful Berkshire Bulky for me to make her some clogs, Berkshire yarn and a book for her felted bag and the new Valley Yarns cataloger for her to order more online. Having the wonderful Harry Potter event helped keep my son busy while we shopped. Thank you for each part of all the portions that make WEBS … WEBS ! Comments and Statcounter are SO gratifying. I know, I’m a geek. Hi Schnauzermum – thanks so much for shopping with us! I too am still very sad about Brooks Farm. Yeah Melissa! I haven’t had much time on Ravelry, but trust me, you’ll love it! It was great to see you all represented at TKGA. Sorry the attendance was not as hoped — I noticed the retail area did not seem very crowded even for a Saturday. I did my best though, to make up for the lack of more customers! !